North Korea has announced it will restore the key hotline with South Korea at Kaesong Industrial Complex, as the two countries discuss where to hold talks on the jointly-run industrial zone. Pyongyang said it would reopen a Red Cross hotline which it cut in March. 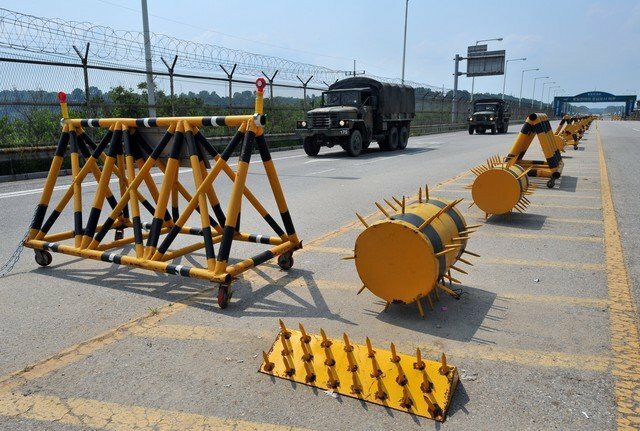 It also invited officials to come to Kaesong for talks on Sunday on restarting operations at the factory zone, after the two sides agreed in principle to talks on Thursday. Work at Kaesong has been halted since April, amid high regional tensions. Ties between the two Koreas deteriorated earlier this year in the wake of the North’s 12 February nuclear test. North Korea’s nuclear ambitions are expected to be on the table when the US and Chinese presidents meet in California later on Friday for an informal summit. The Kaesong factory complex is seen as a symbol of North-South co-operation. Around 53,000 North Korean workers are employed there by more than 120 South Korean factories. The zone is a key source of revenue for the North and the biggest contributor to inter-Korean trade. However, Pyongyang withdrew its workers in April, apparently angered by tightened UN sanctions in the wake of its nuclear test and annual South Korea-US military drills. It had already cut a military hotline with South Korea, and another line used to communicate with the UN Command at Panmunjom in the Demilitarized Zone that divides the two Koreas, in addition to the Red Cross hotline. On Thursday, however, it offered talks with the South on the resumption of operations and said it would reconnect the Red Cross hotline if Seoul – which had been seeking such talks – agreed. Pyongyang’s Committee for the Peaceful Reunification of Korea (CPRK) said the Red Cross link would be restored from 14:00 local time, AFP news agency said. The two sides are still working out details of the talks on the industrial zone. The South suggested ministerial-level talks in Seoul on Wednesday, but North Korea has asked for lower-level talks on Sunday in Kaesong, which is located just inside North Korea. In a statement, Pyongyang said that working-level talks were needed first, “in the light of the prevailing situation in which the bilateral relations have been stalemated for years and mistrust has reached the extremity”.